Soothes & prevents chafing. Prevent & soothe damaging friction due to chaffing irritations before they begin. Eliminate soreness from skin rubbing on skin and skin on clothing. Superior protection from chaffing caused by tight clothes, shoes, sport equipment, or ordinary clothes rubbing against the skin. 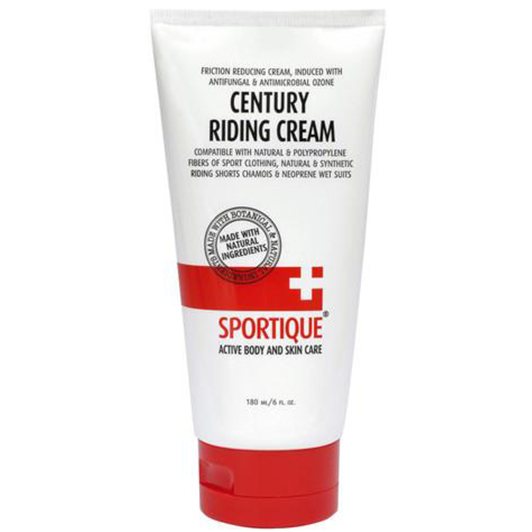 It's the only cream I've found that stops me getting sore, down there. In the cool weather it squeezes out almost like putty but as a result it seems to just stay where you put it. I actually ride in quite hot, humid conditions and it stays with me. Haven't had any issues with it staining bib shorts. The smell is a natural one not medicinal and as a result I've even used it on other skin abrasions to great affect and not felt self conscious about having it on around non-cyclists. Good to see this product readily available 2018/19. To my mind it's the best out there.